The Big Hearted Valentines Ball 2019 features a sparkling drinks reception followed by a 3 course dinner. The evening will be really enjoyable, with music and comedy entertainment throughout. 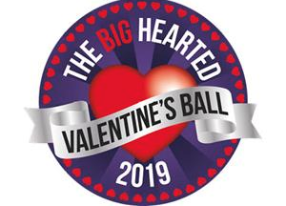 The Big Hearted Valentines Ball is aiming to raise money to buy a piece of the latest medical equipment and will benefit seriously ill patients from Bath, Bristol, much of Wiltshire and North Somerset. £75 to include sparkling reception, 3 course dinner with coffee/tea and entertainment.